Hello and a Happy New Year to all of YOU! I still thought there might be time for some fabric fun!?!! How about another Valentine Post Card Exchange? I really enjoyed seeing your amazing creativity from the first one, which you can see on Pinterest. 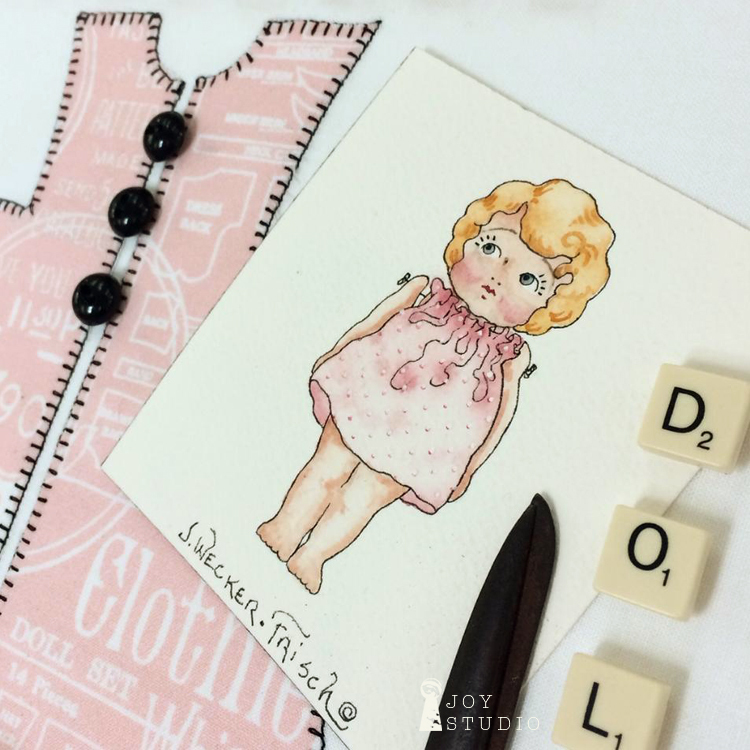 I do have Riley Blake Designs Paperdoll fabric panels and fat quarters to GIVEAWAY!! How does a random drawing of the participants sound? The winner will be drawn from delivered post cards. All you have to do is sign up by sending me an email with your name and the address where you wish to receive your card. I’ll match everyone to a partner and send you back the info. 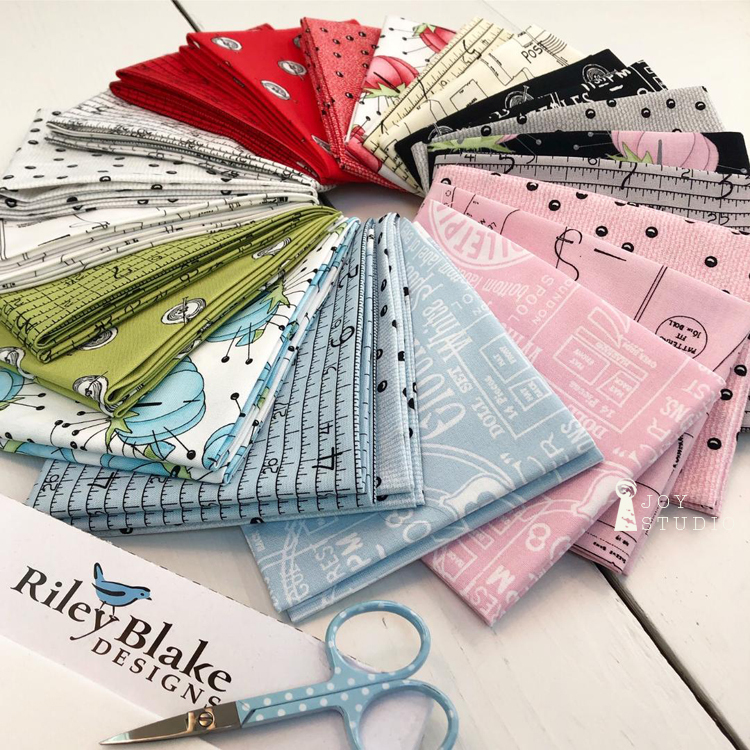 • Use any Riley Blake Designs fabric, although I’d love it if you used Paperdoll. •Sew and send your cards to the partner we assign by February14, or sooner. Sew . . . who’s in?!!! 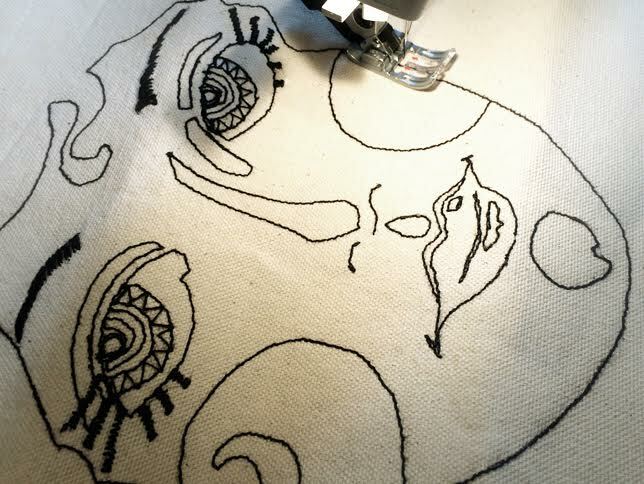 OH, and btw, the Man and the M O O N applique pattern above is printed! 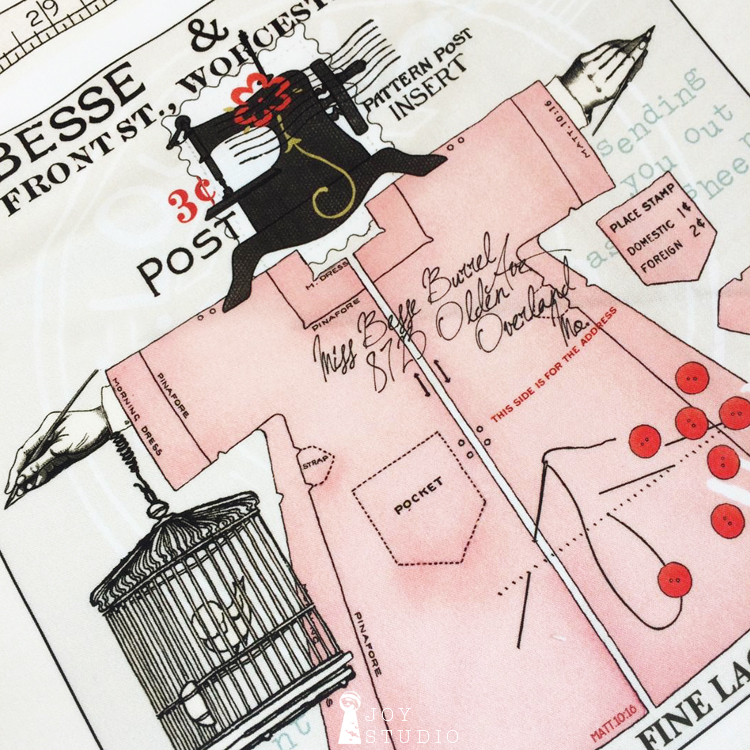 In this post I wanted to show how you can break down the She Who Sews figures using the Maker’s Guides into three main sections, part one. Some of you have already tried the Press On corset portion in the Great Corset Challenge last summer however, in this post we are starting at the top! 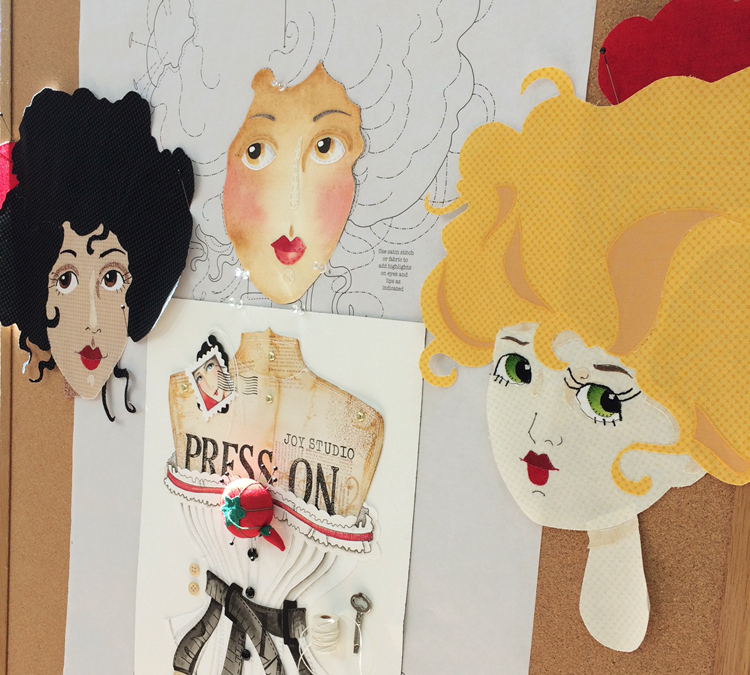 The two fabric faces below were made by Aunt Henri using Riley Blake Basics earlier this year. I decided to continue my watercolor paper version shown above. She still needs eye detail. The great thing about these large scale studio figures is that they are not limited to any specific craft medium. Mix ’em up and have fun, you’re the maker. 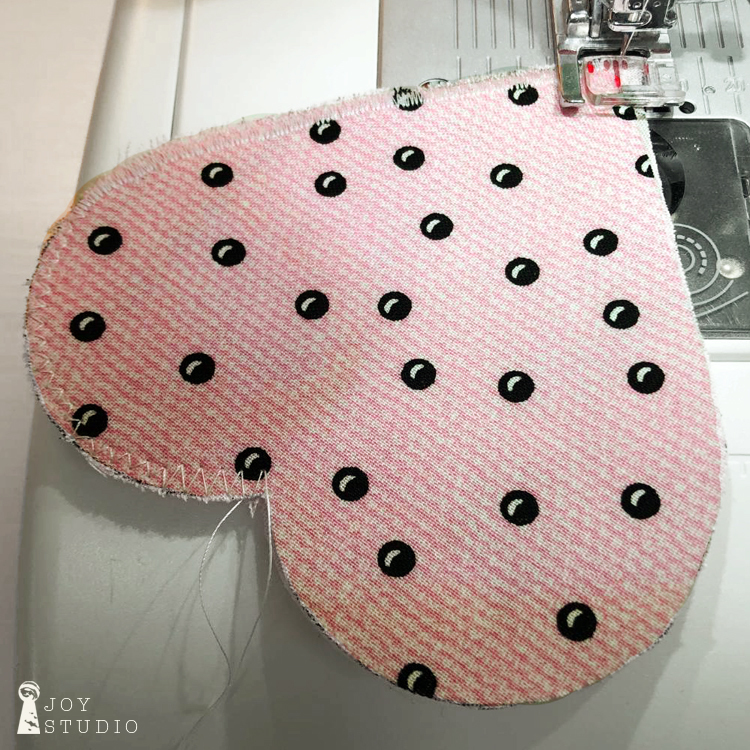 The single most important thing to remember about constructing the face is to follow the placement sheet accurately, especially the eyes just as you would follow any other applique pattern. That is key! Then you will achieve the specific Handmaids® girl of your choosing, every time! Stitching the detail, is another lesson which I am still learning. However, it will be a cinch for all of you experienced sewers. 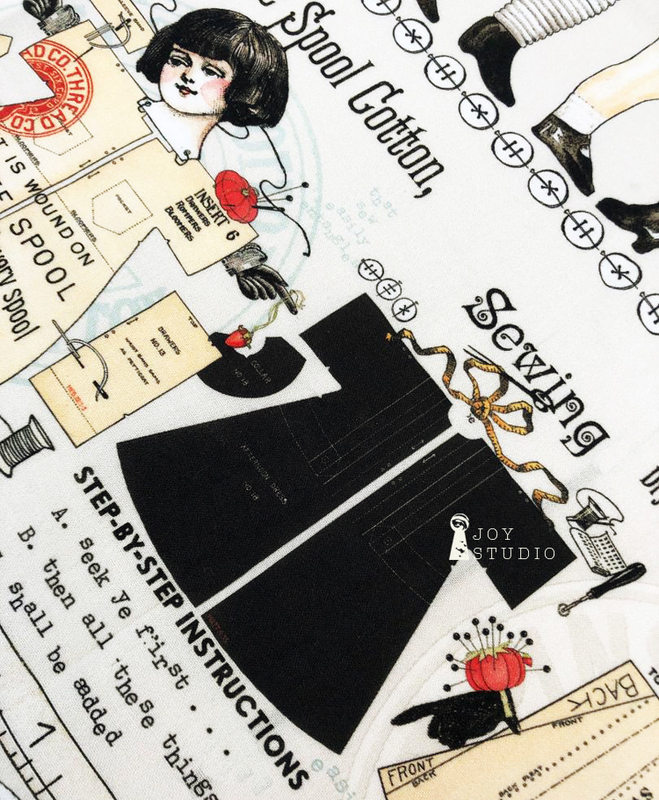 We are just getting ready to begin building a Machine Maid version using a new 2019 Halloween collection from Riley Blake Designs. So, if you want to see this group in your local quilt shop next April, ask them about it now. It is currently available to the trade. 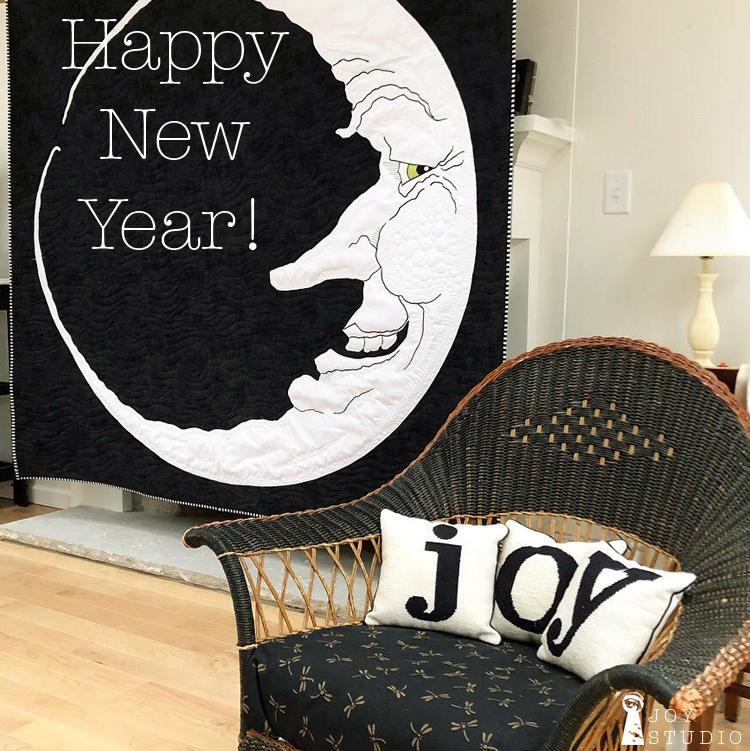 We’ll be sharing some Quilt Market sneak peeks too so keep watching!! Original canvas tote bag test, sewn by Ann Regal. at Spring Quilt Market in Portland! came through beautifully for us once again in her creation of this stunning applique piece using our ‘Press On’ pattern! The photos do not do it justice truly so, please if you’re in Portland for Quilt Market, come by and see her for yourself. She will not disappoint. Patterns are available at Checker Distributors #1801 and Brewer Sewing #852-53. Shops – This makes a great class! will be presenting the art of J. Wecker Frisch on their hi-quality cotton fabrics and related products! 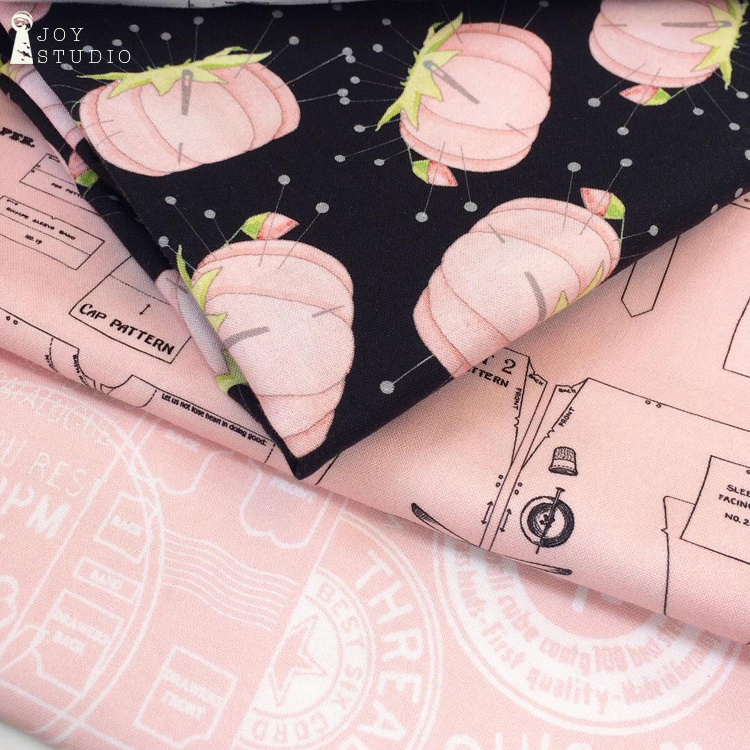 Now, our fabric by the yard AND on a variety of Riley Blake Designs convenient precuts!! Two companies noted for their high manufacturing standards and dedication to creativity, promise some exciting collections, to you!!! YES – The first group is already in the works. Delivering to shops in August, 2018.
completely finished, furnished and finally, ready for (hiding out) creative action. A T L A S T ! A P P L I Q U E ! 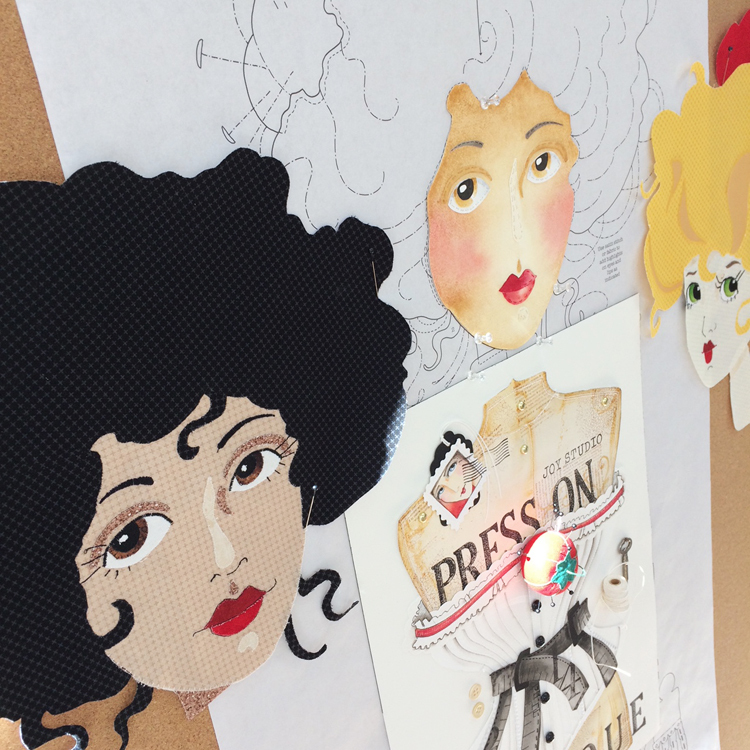 three of my female figures were translated from the original art into appliqué by good friend Ann Regal. My request to Ann was that they be life size, suitable for studio pieces and oh, what fun! There seamed to be such great interest in these show stopping characters that we saw no other choice but to persevere with this unique product. An even greater pleasure to be able to offer the life size raw-edge appliqué patterns for the first time at the 2017 Spring Quilt Market right here in St Louis, our home town. I believe, we are just getting started with these fun creative figures! Take a look at what some of our design team created with the new patterns, some linen, our fabrics and some vintage items. Her corset still needs it’s buttons and bows. 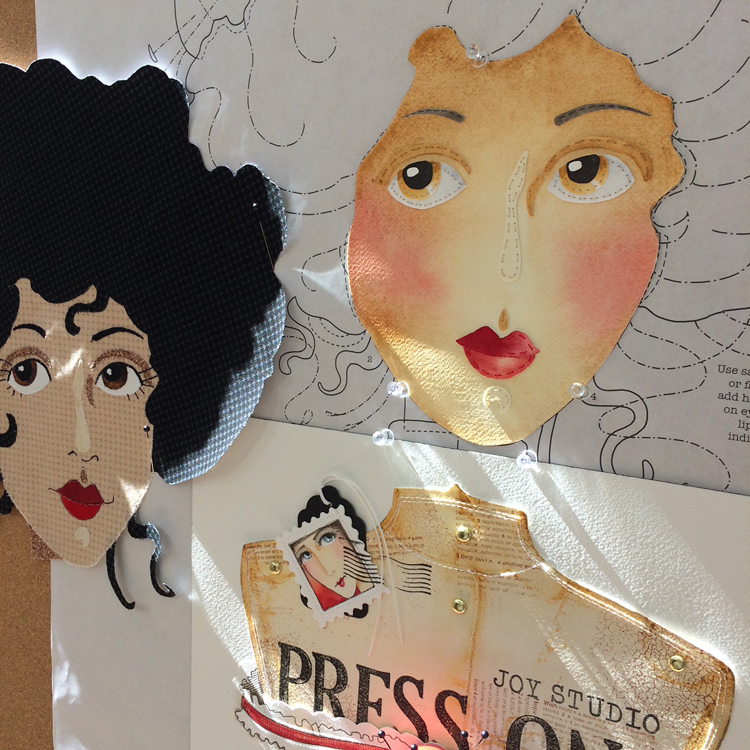 Our Press On Handmaid (above) used our new fabric collection, Hatter’s Tea Party from Quilting Treasures. The Seamstress (below) was made using linen and our She Sews Sea Shells fabrics with a vintage pair of gloves. It’s plain to see how different these girls can look by simply customizing the fabrics to the maker’s own specifications and taste. The possibilities and personalities are endless! Machine Maid (below) was created using a variety of fabrics such as blue organza for her monocle, also She Who Sews, Draw Near and quilting B’s are among them. Ann Regal, Regal & Co.